Adult Shader on a LAT model - it's possible! Adult Shader on a LAT model doesn’t work. Don’t use Adult Shader on a LAT model. How can I use Adult Shader on my LAT Miku? Adult Shader on a LAT model – it’s possible … Just protect the face! Have you ever longed to use adult shader on your favourite LAT model to make it look amazing for your video but it looks horrible? Well, that ends today! 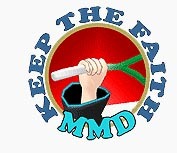 Just by following a few simple steps with only MMD and MME, you can fix that! First of all, load up MMD and load your LAT model. Open the MME window and add the adult shader effect to your model. Now this is when things get exciting! Right click on the model name in MME and click on subset-extract. 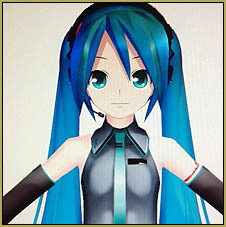 Get rid of the face and nose by clicking on the numbers, for example, the normal Miku LAT model, to get rid of the face and nose, click on numbers #16 and #6. Click on one number first and make sure that those two boxes aren’t ticked, click on edit and remove effect. Do the same to the other part. Click on the boxes again to tick them and click “OK”. TADA! All, of your troubles are over! Feel free to ask any questions! See the test video I have on YouTube and see Adult Shader on my LAT Miku… Enjoy! I don’t know how to fix the broken models ?